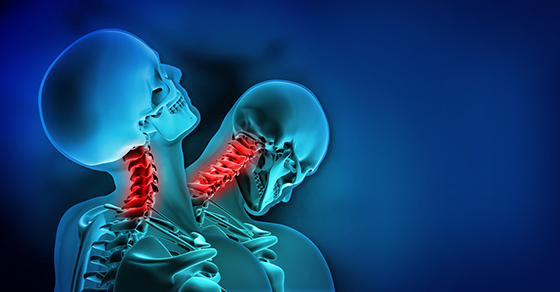 Whiplash injuries are most commonly caused by a car accident but can occur whenever there is a sudden stop of the body. As the upper body comes to sudden stop, the head is thrown forward with the chin coming towards the chest, causing lots of forward head bending. Often this is followed by lots of extra bending backwards as the head is thrown back. Luckily, a well adjusted head rest can prevent injuries caused by bouncing backwards, reducing damage to the front of the neck and joint between the spine and the head. Ligaments, joints, discs and muscles are just some of the things that can be damaged as your head comes forward. It is all of these things that can make it difficult to recover from whiplash injuries. However, if properly treated most people can get better and return to all of their previous activities including work and sport. It has been shown that Physiotherapy can play an important role in this recovery and the sooner you start treatment the faster and more complete your recovery will be. A trained professional can tell you how much to keep moving versus how much rest the neck needs. It is important to have even minor injuries seen by a health professional. Symptoms, including pain and stiffness, can take a few days to appear. Whiplash injuries are common. It is best to have even the smallest of complaints looked at right away. Advice and medication can keep inflammation and pain to a minimum which will quicken healing time. Ruling out more serious injuries including fractures (or bone injuries) is also very important. Nerve injury can occur causing pain and tingling into your arms and hands. Often people will complain that their hand feels like it is asleep. Although it is easy to believe that there is an injury to your hand, a health professional will be able to tell you if that is true, or if it is coming from your neck. Just like you let the mechanic and auto repair shop take care of your car, make sure that the right people are taking care of your body. Call a physiotherapist today!